Dog Training Videos - Dog Training Videos - Dog Training Made Easy: Why Train? Dog Training Videos – Dog Training Videos – Dog Training Made Easy: Why Train? Hello. My name’s Carolyn Menteith. I’m a dog trainer and behaviorist. And I’d like to welcome you to Dog Training Made Easy with Dogs Trust, a series of films that will show you the fun and enjoyable way to have a well-trained dog. Well, first of all a well-trained dog has more freedom. The freedom to be allowed off the lead, to run and play and get more exercise, and also the freedom to be more involved in your life. You can take him everywhere with you – to visit friends on holiday, to the pub, even to work, because you know that he’ll be well behaved. It’s not just about freedom though it’s about safety as well. If your dogs are well trained you can keep him safe and you can keep everyone else safe from your dog. You owe it to anyone who comes into contact with your dog to make sure that he is a well-behaved member of canine society. And you owe it to your dog to be able to keep him safe and give him a long and happy life. But more important than that a well-trained dog is a joy to live with, you don’t have to worry about him knocking over granny or rounding up the children or chasing the postman, you can just get on and enjoy your life together. A well-trained dog is a happy dog, and the owner of a well-trained dog is a happy owner. So what do you need to train your dog? Well, first of all you need a plane collar with a buckle or a clip at the end and of course with your dog’s identity details on it. Try and find a collar that’s wide as you can for your dog. The wider the collar the more comfortable it is for your dog to wear. You’re going to need a lead and the other thing you’re going to need is a training lead. This is six feet long with a clip on both ends and you’ll find out how to use that as we go on in the training program. You need to also find a nice quiet space with no distractions to start off each exercise. You can build up to doing it out and about later on but to start with your dog has to be able to concentrate on you. And the other thing you’re going to need is some nice yummy treats, something that your dog really, really loves. It can be anything, it could be cheese, bits of sausage, bits of chicken, anything that he’s really going to work for, but it should be healthy and you need to cut them into really small pieces, about the size of your little finger now. And of course, last but not least what you really need is your dog. Hello, Oliver. 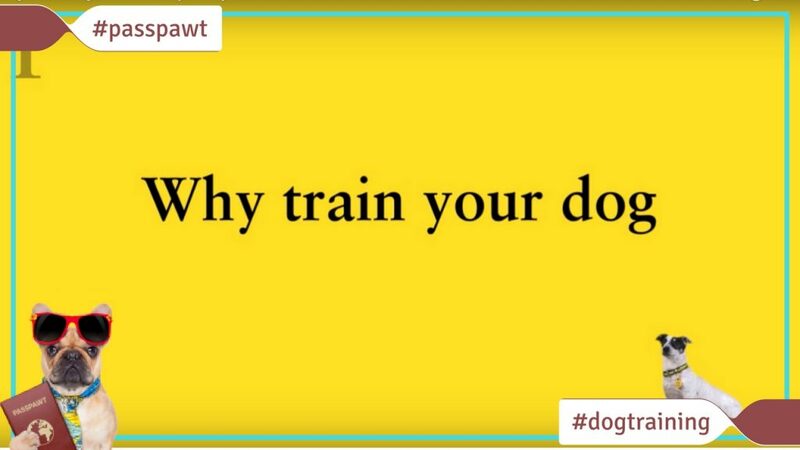 So I hope you and your dog really enjoy Dog Training Made Easy with Dogs Trust. It’s the fun and enjoyable way to transform the life you have with your dog. Come on then, Oliver. Let’s get training.